In October 2017, Ohio was the recipient of a $35 million Striving Readers Comprehensive Literacy Grant (SRCL) from the U.S. Department of Education aimed at "aggressively amplify the state's [literacy plan] by enabling more local education agencies to deploy evidence-based comprehensive literacy instruction programs, with an emphasis on serving disadvantaged children from birth to12th grade." Included in the plan are five areas of focus: shared leadership, multi-tiered system of support, teacher capacity, parent partnership and community collaboration. The Early Childhood Advantage: A Symposium on School Readiness. The gathering is designed to bring together early childhood providers, community leaders, and public and private entities to raise awareness of the benefits of early childhood education and to initiate early learning achievement and opportunity gap closing measures. 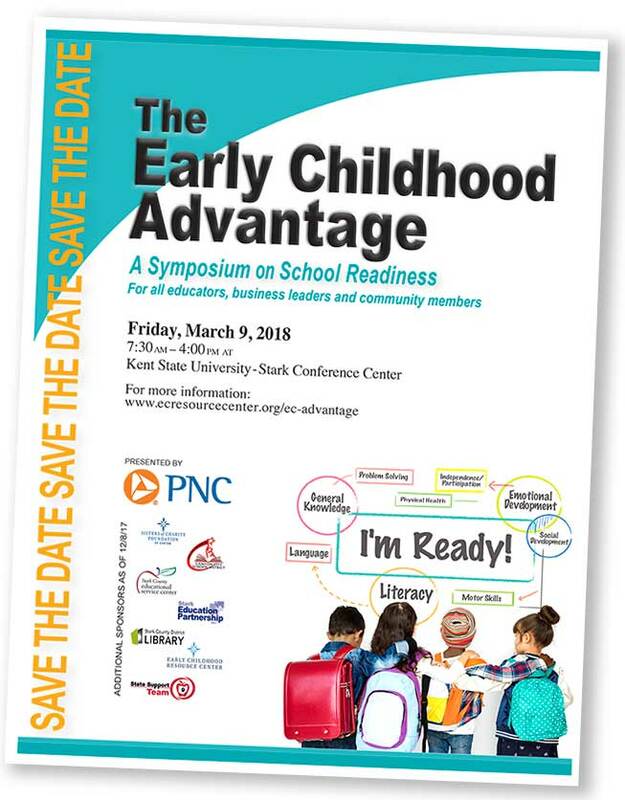 The Stark symposium will provide an opportunity for the community to hear the research supporting the importance of high-quality early childhood education and will offer opportunities to learn strategies to meet the unique needs of all learners. There is substantial evidence of the positive outcomes of high-quality early childhood education. When coupled with empowering parents to exercise preventative practices, gains are made in closing the early learning achievement and opportunity gap. While Stark County has highly rated preschools and has lead the state in evidenced-based early childhood opportunities for preschoolers - such as SPARK and Artful Living and Learning - we do not have a comprehensive, county-wide prenatal to age 3 system to support positive student outcomes. Data from ODE's 2014-2015 Kindergarten Readiness Assessment indicate that 1,466 Stark County children (38%) were not "kindergarten ready" based on the language and literacy portion of the assessment. The symposium experience will build on Stark's strengths and create catalysts that shift our early childhood paradigm from theory to collective action and lead to positive, life-changing outcomes for all.